How Many Certified Visual Coaches Are There? All of our graduates and current coaches-in-training are listed on our Coach Directory. We currently have 60+ graduates, from across various geographies and discipline areas. Who Is Accepted? | What Are Other Participants Like? The people who are accepted into this program are some sort of Process Professional already ethically trained to work with individuals (or, are in the process of securing those credentials). The range across various professions that include direct work with individuals, partners, couples and even families: coaches, counselors, therapists, financial advisors, lawyers/mediators, teachers, disability advocates, human resources, energy workers, etc. Generally they are intelligent, kind and dedicated individuals who are a pleasure to interact with. 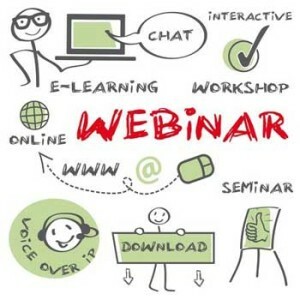 How Can You Effectively Train Us Through Webinars? Like many of my courses nowadays this program is completely online. 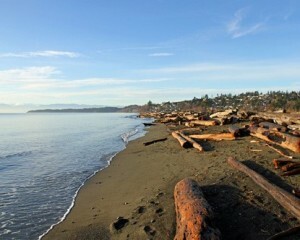 I have chosen to live on a beautiful island on the west coast of Canada (I’m in Victoria, British Columbia which is located on the southernmost tip of Vancouver Island). I have a wonderful niche that I teach others across the world about. And I do that via user-friendly web conference technology and other handy tools. I’ve been using this technology for many years (and continue to adapt when new developments occur). 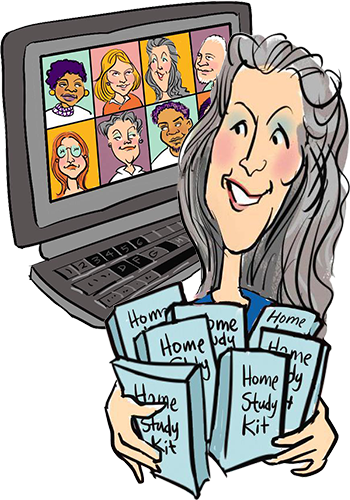 Clients are consistently pleased with what a great learning experience my online courses are. No online experience can completely replace the power of working in-person however this ‘virtual’ way of working is a great option that increases my ability to get Visual Coaching into the hands of professionals across the world. Plus 90% of my own Visual Coaching work nowadays is distance work, so I facilitate this program using the same methods I use with my own clients. What’s this “Big Web Breakthrough” You Keep Talking About? Well, I’ve gotten into this a bit already by answering the question above about how I can effectively teach via webinars. FYI, in the last several years there have been really big advancements in the world that have impacted not only how I teach but have extended the effectiveness and range of Visual Coaching overall. That change, in a word, is ‘technology’. 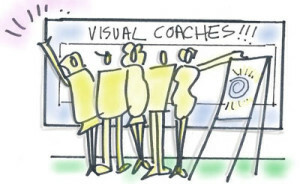 Back when I first began experimenting with Visual Coaching (in the mid-1990s in San Francisco) I was limited to working in-person with my coaching clients … using large sheets of paper on the wall and markers, pastels and other art materials. 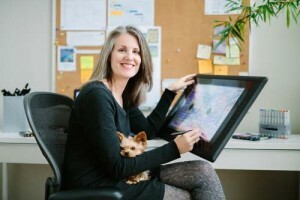 When I moved from San Francisco back home to Canada, I still had clients back in California. I worked by phone with them yet YEARNED for a way they could SEE what I was writing and drawing, rather than me having to send a picture later. Well, 15 years later, I’m proud to report that the interactive technology I once yearned for now exists! Now, with the advent of webinar technology and digital tablets, it is now possible to work interactively with clients anywhere in the world (as long as they have decent internet connectivity). All with your pet on your lap! In case I haven’t emphasized this enough, this is a REALLY big deal! If you want to work with your Visual Coaching client in-person via the traditional method, you certainly can (I ADORE working with paper and markers and still do with an elite portion of my clientele). However, with the Visual Maps in this program, you now can extend your reach to work with clients by phone, skype, facetime, google docs and other tech. And, for those who want to go all the way, you can now work by webinar and digital tablet like I do for a truly long distance interactive effect. It’s amazing times we live in! In recent Certification Cohorts about a third to a half of the trainees opted to experiment with distance options. Some wholeheartedly jumping in and even doing their exit exams via this method! As familiarity with online technology continues I anticipate growing use of this handy virtual approach. How about you? Would it serve your practice to add a virtual/distance option?! If so, I’ll show you how. What Are The 17 SHIFT-IT Maps in Detail? For more info on SHIFT-IT, click here. What are the Additional 13 Maps in Detail? Over the years I’ve created many additional coaching exercises to assist in my private practice. I’ve added 13 of these to the 17 core SHIFT-IT Maps already included in the program — making a grand total of 30 Visual Coaching exercises, all with maps. As a Certified Visual Coach, you get access to any new maps I add in the future. For various reasons you may not want to do a full SHIFT-IT Retreat with a client. Instead, this Mini Retreat series (4 visual maps) condenses the process to allow for a quicker analysis. This is a deep alchemical / shamanic exercise that is very useful when resistance is persistence or especially charged. An advanced Trouble at the Border tool covered in Practical Energy Work. 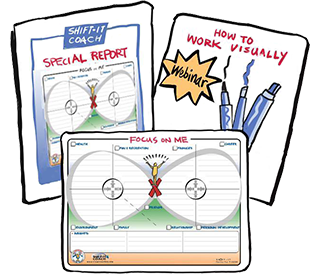 When I first created SHIFT-IT I had just one version of the Magnetism Map (powerful visioning tool). Now I have four other levels that assist clients in their visioning at the couple, group, planet and even galactic level! Three Law of Attraction Maps that are useful to help clients corral their thinking and feeling in ways that truly serve them. Covered in detail in Practical Energy Work. A summary map for use during general coaching sessions. Includes sections for client name and date as well as note taking areas for check-in, process work, next steps and closing quote. What If I’m Scared by the Drawing/Art Stuff? I’m here to tell you that you do NOT need to be an artist to add visual process work to your practice. It’s perfectly ok to join this program even if you are intimidated by the “art” side of things. Some aspect inside of you is attracted to this work and I for one trust that. Many are pleasantly surprised with what they are able to do after a few simple lessons and some practice. For more info see my article: How Non-Artists Can Work Visually Too. Rest assured, visual process work is really not about art – it’s about knowledge capture, mirroring and holding a good thinking/feeling container for your clients. The Visual Maps help you do that in spades. If you are an artist, wonderful! — record on the maps using your own flair and style. My programs are transformational with generous returns on investment for those who apply themselves – many cite them as the best courses they have ever taken and/or as significant turning points in the trajectory of their professional and personal lives. I offer generous Early Birds, Seasonal Sales and Payment Plans. Should you like a longer payment plan than what is offered, please just ask. 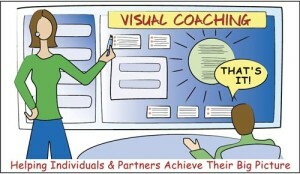 For Visual Coach Certification, there are two levels: For Profit (for those who monetize or intend to or are embedded in for profit organizational roles) and Not for Profit (for those who don’t intend to monetize their services and/or are in social sector positions who serve vulnerable populations). Can You Give Me More Info About This Approach Overall? I have produced so much information over the years that it is not funny. If you want more information see Articles, Audio Archives, Podcast, YouTube. For social media, I’m most active on my personal Facebook page. I’m also available for a free 30-Minute Exploratory chat by phone or web conference to answer any of your specific questions.